Provide comfort for the family of Pauline Zammito with a meaningful gesture of sympathy. Of Plymouth formerly of Waltham & West Newton, passed away peacefully Tuesday morning February 26, 2019 at the Maristhill Nursing & Rehabilitation Center in Waltham at the age of 91. Born on December 25, 1927 in Boston; daughter of the late John and Benedetta (Attardo) Zammito, Pauline was raised in Waltham and had been a resident of West Newton for many years before moving to the Manomet section of Plymouth. Pauline attended Waltham High School and had been employed as a Loan Officer for the Guarantee First Trust Bank in Waltham, then BayBank, and retired from Bank of America. Pauline had a strong faith in her God. She was an active and devoted parishioner of both Sacred Heart Parish in Waltham and Saint Bonaventure Parish in Manomet. She was a religious education teacher, Eucharistic minister, and a member of the Sacred Heart Church Holy Rosary Guild and sodality. She was a selfless person always wanting to help others first. 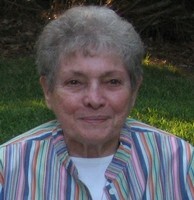 She provided rides and home care for many of the elderly while she lived in Manomet. In her spare time she enjoyed tending her vegetable and flower gardens, reading, doing crossword puzzles, traveling, and cooking. She truly loved being surrounded by her family at any and all family gatherings, large or small. Her nieces, nephews, grand nieces, and grand nephews were lovingly considered as her own children. Pauline is survived by her devoted and loving sisters Josephine Galvagno of West Newton and Mary Bergantino of Watertown, and her 15 cherished nieces and nephews. She was the dear sister of the late Frances O'Brien, John and Frank Zammito. Relatives and friends are respectfully invited to attend Funeral Services in celebration of Pauline's Life from the Brasco & Sons Memorial Funeral Home, 773 Moody St, WALTHAM on Saturday morning March 2nd at 9:00 a.m. with a Mass of Christian Burial at Sacred Heart Church, 311 River St, Waltham at 10:00 a.m. Interment will follow at Calvary Cemetery. Visiting Hours will be held in the Brasco & Sons Memorial Funeral Home on Friday March 1st from 4 – 7 p.m. Parking attendants will be on duty. In lieu of flowers, expressions of sympathy may be made in Pauline's memory to Maristhill Nursing & Rehabilitation Center, 66 Newton Street, Watham, MA 02453 or Caregroup-Parmenter, Homecare & Hospice, Attn: Sara Smith, 1 Arsenal Marketplace, Watertown, MA 02472. To send flowers in memory of Pauline F. Zammito, please visit our Heartfelt Sympathies Store. Mary, Jan, Jennifer, Tina & Family sent flowers to the family of Pauline F. Zammito. Aunt Paulie will remain in our hearts forever. 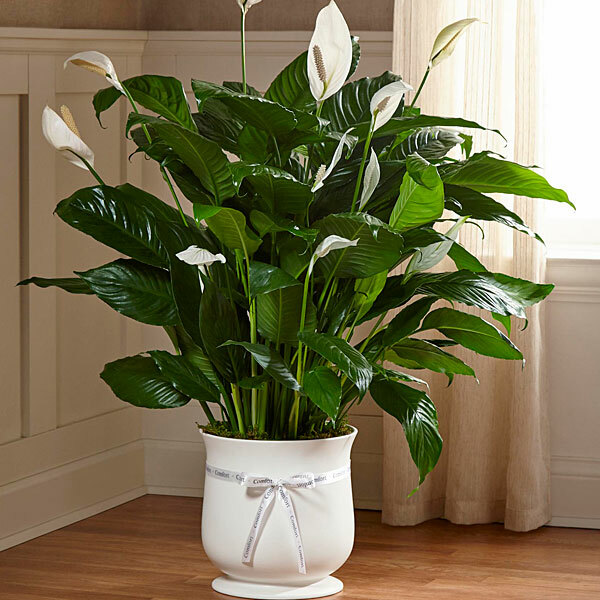 Mary, Jan, Jennifer, Tina & Family purchased the The FTD Comfort Planter for the family of Pauline Zammito.